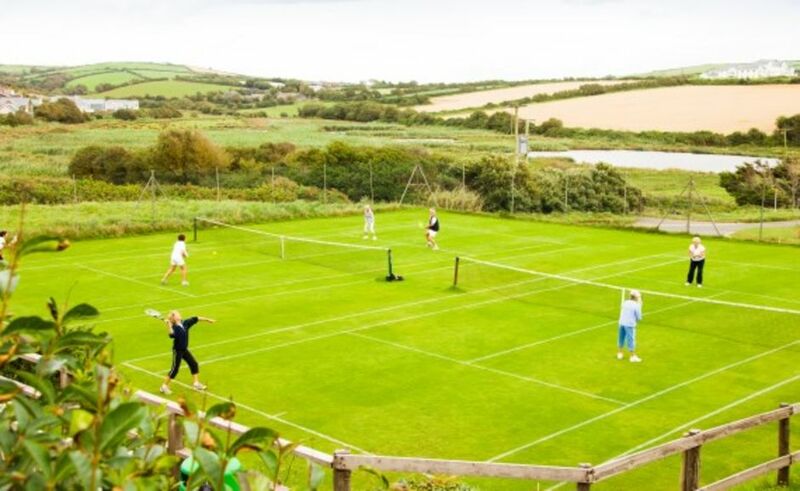 Thurlestone Golf Club has a total of 12 tennis courts - 2 hard courts available all year; 10 grass courts available May to September. Club events, tournaments and competitions and coaching are all pre-booked. Hard courts (Nos 11 & 12) are available throughout the year and ten grass courts (Nos 1 to 10) weather permitting May to September. Friends and family of members are always welcome at £5 per session as an Adult and £3 per session as a Junior (max 5 per year) payable in the Pro Shop or to any Committee Member, or member of staff. Non members are welcome to book and play on the day. Court sessions last 1.5 hours and cost £16.00 for 4 players, £12.00 for 2 players and £3.00 each for juniors. Please book and pay at the Pro Shop (01548 560715) on arrival. EveryTuesdays and Thursday mornings all year 10.00am-12.00pm (mid-July to end August 14.00 - 16.00pm). Wednesday evenings May to September from 5.00pm. All members and visitors are welcome. Recognised tennis shoes and appropriate clothing is expected to be worn on the courts. Please use the golf or tennis changing rooms. A comprehensive programme of events is organised by the Tennis Committee. Notices will be posted on the tennis section notice board along with entry lists and other details. Junior, Men's, Ladies' and mixed doubles tournaments are held throughout July and August. Mini-coaching (ages 5-11) are held 3 mornings a week. For individual and group coaching is available for adults and juniors under the supervision of Janet Richardson LTA Professional Coach, who may be contacted on 01548 856007, or, janet.r@uwclub.net. More details available on the coaching page. 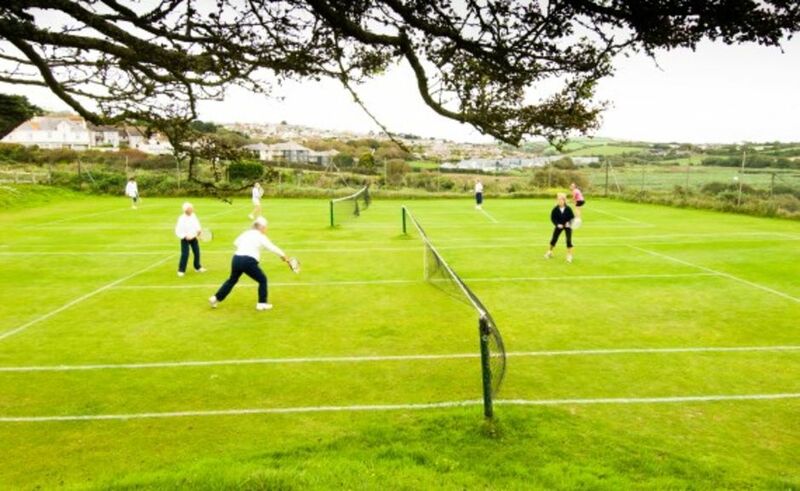 Thurlestone Golf Club Tennis Section is committed to prioritising the well-being of all children and adults, promoting safeguarding in our club at all times, including all programmes and events that we run. In addition we are proud to have a Diversity and Inclusion Policy that demonstrates our commitment to making tennis diverse and inclusive for all. The Section is committed to ensuring our practices reflect statutory responsibilities, government guidance and complies with best practice and LTA requirements. A copy of the club’s full Safeguarding Policy can be read here. The Diversity and Inclusion Policy can be read here. The Whistleblowing Policy can be read here. All policies are also displayed in the tennis pavilion, and are also available from the club office and the Tennis Section Welfare Officer.